While Khans and Kapoors of Bollywood are still making waves with one hit after another, a fresh crop of new faces is slowly making its way to the big bad world of Bollywood. Will they succeed? If we look at some of the recent hit films like Barfi, Ishaqzaade, Jannat 2, Jism 2 and VickyDonor they all have one thing in common - a newcomer. Arjun Kapoor, Esha Gupta, Sunny Leone, Ileana D'Cruz and Ayushmann Khurrana even got critical acclaim for their performances. The trend is definitely catching up as a spate of newbies are ready to enter the Bollywood boulevard in the coming months. Film-making is all about ideas. And if you have a unique story idea, it will get positive responses, irrespective of the star cast of the film." “The way I perceive it, investing in newcomers is not a risk. They are the future of our industry and if we can sell a unique idea along with their talent, there is no question of the movie not performing well. Preity Zinta who's making a comeback with Ishkq in Paris initially wanted to cast only newcomers in the film. "We never wanted an established star for the film. As a producer first decided we will make it as a small budget film when we were developing our script. For Karan Johar, directing three newcomers in his next directorial venture Student of the Year was an emtional journey. This film is very different from the earlier ones. With these three newcomers he was nurturing, parenting them. It was his emotional journey. ALIA BHATT: Alia Bhatt, 19, daughter of Mahesh Bhatt and Soni Razdan, is all set for a Bollywood debut with Student of the Year (SOTY) and wants to play a long innings in showbiz. "ALIA BHATT decision after college was to study acting, but when the film happened,ALIA BHATT said why not learn on the film. There is no plan B. If someone asks her what I would do if I can't succeed as an actor, I would say work harder, because there is nothing else. RHEHAN MALLIEK: Gaurav Chanana aka Rhehan Malliek is best known as Dr Rahul from hit telly serial Sanjeevani. He's now chasing his Bollywood dreams. The actor is debuting as a main lead with Preity Zinta in Ishkq in Paris. He also starred in music album Chamak cham cham chamake hai sitaro me tu hi with Rimi Sen. The actor has also done bit roles in Woh Tera Naam Tha, Zinda and Kajraare. VARUN DHAWAN: He is the son of director David Dhawan and student of veteran director Karan Johar. He is all set to make debut with one of the most awaited films of the year - Student of the year. Varun, 24, assisted his father David and Karan Johar earlier behind the camera. Cinema is not anyone's birthright. Everyone can enjoy it, no matter who they are or where they are from. ATHIYA SHETTY: Suniel Shetty's little girl has grown up. She is reportedly set to make her Bollywood debut with none other than Jackie Shroff's son Tiger. They would be seen together in Heropanti. The news has not been confirmed yet. 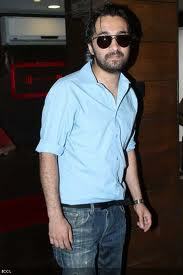 SIDDHANT KAPOOR: Shakti Kapoor's son Siddhant is making his Bollywood foray in Sanjay Gupta's Shootout at Wadala. Siddhant who is also a DJ, essays the role of a sharpshooter in Shootout at Wadala that also stars Anil Kapoor and John Abraham. Sanjay Gupta had told Mid Day: "Siddhant has an independent identity of his own and deserves to be on the big screen. Plus he is a very talented and a good-looking boy." The newcomer has another film in his kitty. Siddhant is reportedly doing Anurag Kashyap's Ugly. He would be playing a dark character embroiled in drugs. TAMANNAAH BHATIA: Tamannah Bhatia is already an established actress down south. She has done successful movies like Padikathavan (2009), Ayan (2009), Paiyaa (2010) and Siruthai (2011). The actress is now ready to start her Bollywood innings opposite Ajay Devgn in Himmatwala. She would be reprising the role of Sridevi in the remake of the 1983 hit film of the same name starring Jeetendra and Sridevi. BILAL AMROHI: The grandson of legendary filmmaker Kamaal Amrohi, Bilal, is reportedly making debut with Salman Khan's home production. He's the son of son of Taajdaar and Neelu Amrohi. It is said to be a low budget film revolving around a journalist and a cameraman. The film is also likely to feature Pulkit Samrat. SIDDHARTH MALHOTRA: He started out as a model in Delhi and assisted Karan Johar in My Name Is Khan. He's now ready to face the camera with two other newcomers in Student of the Year. "It has not been an easy journey. 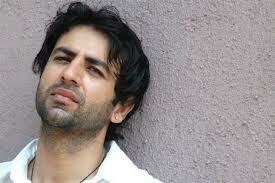 He started career with modeling and then worked with Karan as an assistant director. At that time he had never imagined that he will cast me as a lead actor in his movie," he had told reporters at an event. "SIDDHARTH MALHOTRA have nothing to fall back on, for them (Alia and Varun) they can take guidance from there parents but I can't even discuss anything with my parents as they know nothing about the industry. 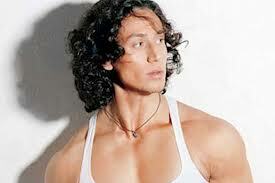 TIGER SHROFF: Jackie Shroff's son Tiger would be making his foray in Bollywood with Sajid Nadiadwala's Heropanti. Shroff Junior plays a ruffian from a small North Indian town. The role reportedly requires loads of action and dancing. Tiger confirms this. The excited debutant told Bollywood Hungama, "The action and dance are a big part of the script. I've been training really hard for those. And I don't need to unlearn those skills. But yes, there are a lot of new things I need to learn for the role." "He will be spending a month in the town chosen for shooting. Tiger never had any formal acting training before. So they can mould Him any way they want for the character.He already training to be in character. POONAM PANDEY: The bikini sensation is making her Bollywood debut with Jism director Amit Saxena's yet-to-be-titled film. Poonam claims it's a coming-of-an movie. The film will have bold scenes shot in an aesthetic way. "It's going to change people's mindset. It will change the way people think about Bollywood. It's radically different from the way films are being made here. I would say, it's not a normal story of a-boy-meets-girl-and-they-fall-in-love genre. It's a very different story," Poona. "The bold scenes are shot in a very classy way. If I'm there, there is bound to be exposure. I have stepped into glam business with a bold image so why would I shy away from doing hot scenes in Bollywood," Poonam saying.